The Avenue, formerly the Avenue Coking Works, is an exciting and ambitious project. It involves transforming 98 hectares of heavily polluted industrial land back into a place that can be used and enjoyed by both people and wildlife. 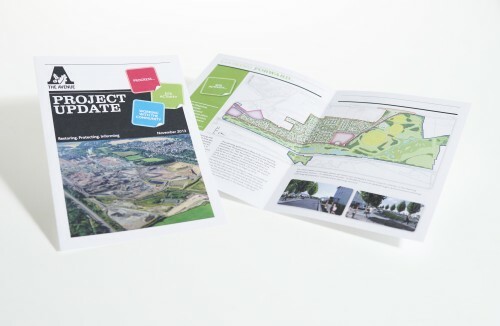 Following their successful involvement with the creation and later refurbishment of the Avenue’s innovative project visitor centre, Creative Triangle were asked to design and print regular newsletters to engage with people living near to the site. These informative newsletters are needed to update locals on the project’s progress and site activity as keeping all stakeholders updated is paramount to the project’s success. By using light and bright colours we’ve given the newsletter an appealing look and feel; making it easy to read and digest. The uncoated paper stock takes it back to its roots by showing consideration for the environment. 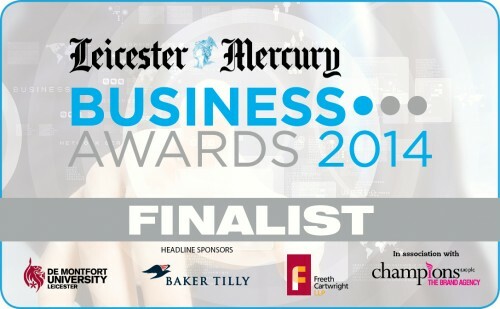 Creative Triangle are thrilled to announce that we have been nominated for the Creative Industries Business of the Year at the Leicester Mercury Business Awards!